Eliminate any doubts of how to provide for your golden retirement years with the revolutionary simple retirement strategy. Designed for beginners, this book contains the simple blueprint you can use to easily and safely grow your nest egg. Using the 3 step strategy you'll cut fees, eliminate unnecessary taxes, and boost your investment returns, all on autopilot. The Autopilot Portfolio is not some wacky "trick" or "double your money technique" that promises an avalanche of cash in the next 30 days. Far from being some pie-in-the-sky fantasy land nonsense, The Autopilot Portfolio is a result of over 10 years of study, and years of dinging through the treacherous trenches of Wall Street to find what really works. Wall Street's retirement plan for the masses has been proven defunct. The traditional 401(k) mutual fund retirement plan has failed millions around the world and it's time for a strategy that actually works. Here you will find an exact step-by-step blueprint to automatic, secure, fast growth of your nest egg. It's already been proven by thousands of other investors and it's virtually guaranteed to work for you. Designed for those in all walks of life, you'll find passive retirement investing plans based upon your own unique situation inside. This includes detailed strategies for those who are just starting to invest, have a sizable nest egg, or those just a few years from retirement. While there are no push button solutions to securing your retirement, this is as easy as it gets. Your Retirement Clock is Ticking! You can't afford not to put the Autopilot strategy to work for yourself. The good news it doesn't require a huge time commitment from you as you can set the whole strategy up on a lazy Sunday afternoon. It's never been easier for nonprofessional investors to cut fees, eliminate taxes and lock your portfolios on autopilot growth mode. 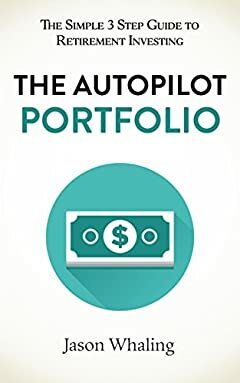 Scroll up to the top of the page and click the "Buy Now" button to secure your copy of The Autopilot Portfolio today.